Happy U.S. Pi Day everyone! 3/14! There are quite a few events happening in our neck of the woods over the next month. First up is the Peterborough Raspberry Jam. This is taking place on 9th April and The Pi Hut will be there in the marketplace! It runs 10am-4.30pm at University Campus Peterborough (Peterborough Regional College) and there will be a mixture of workshops, talks, show-and-tell and the previously mentioned marketplace. It's sure to be a great event, so come along if you can! Get your tickets here. Next up is the Northamptonshire Raspberry Jam which is taking place at the University of Northampton (Newton Building) on 16th April from 11am-3pm. Not too sure of the content of this one, but it's the first one so expect show-and-tell and some talks. Get your tickets here. The Covent Garden Raspberry Jam is coming up on the 23rd April. Running from 2-4.30pm, this is more of a turn-up-and-play event with some show-and-tell and workshop sessions running throughout the afternoon. It is taking place at Covent Garden Dragon Hall Trust on Stukeley Street. Get your tickets here. 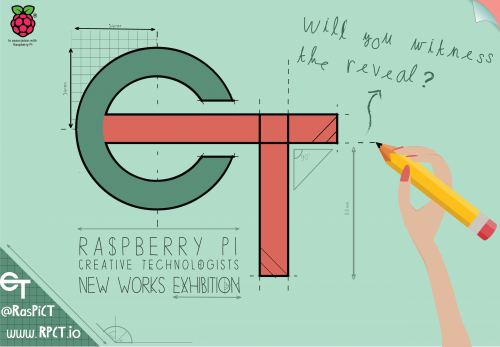 On the same day as the Covent Garden event, the 23rd April, the Raspberry Pi Creative Technologists are holding an exhibition of their work at Pi Towers in Cambridge. This is an excellent opportunity to see what this collection of 9 young people have managed to do over the past year with support from mentors at the Raspberry Pi Foundation. Tickets are limited, but you can apply for one of the two sessions (afternoon and evening) here. James Poole decided to take an old SNES controller and cram a Raspberry Pi Zero inside it, creating a portable games console. Read how he did it here. Simon Monk has written a nice tutorial on creating a binary clock using the Pi and a Unicorn HAT or SenseHAT. It’s been published by the MagPi online and you can read it here.